Dear authors, referees and readers. 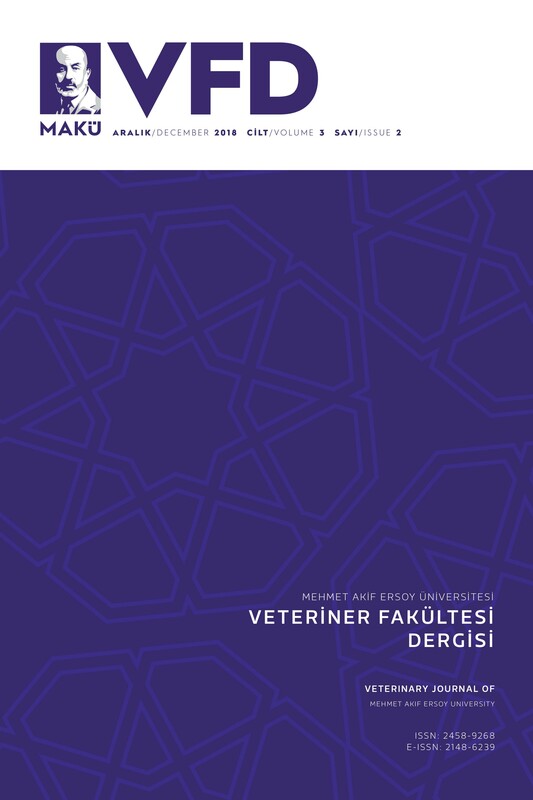 Veterinary Journal of Mehmet Akif Ersoy University (MAE Vet Fak Derg) is an international blind peer-reviewed open access journal, published biannually. There is no publication fee. The Journal is dedicated to publishing original research articles, review articles, case reports, short communications and letters to the editor in the fields of veterinary medicine, health science, animal science and biology. The publication language of the journal is Turkish and English. This Journal is indexed and abstracted by CAB Abstracts, DOAJ, CiteFactor, Google Scholar, Science Library Index, International Institute of Organized Research, Researchbib, SciLit, SJIFactor, Sobiad and COSMOS IF.